Add a touch of glamour to your bedroom, dressing room or studio with our Anastasia White High Gloss Mirror (Petite). Really loved my mirror that I received. Best quality, looks so sophisticated and I love that I can change the brightness of the bulbs to set the mood. 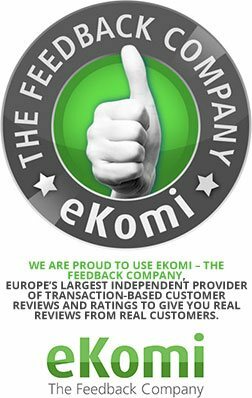 I would most definitely recommend your products and company to others. I had a very small fault with the base of my mirror, emailed and got a very prompt response and they already had sent out a new base the next day. Very impressed, thanks so much illuminated mirrors. Excellent service from order to delivery. Resulting in the most beautiful mirror in my bedroom, which is a dream to use. Yes, I was satisfied with the mirror and would recommend the product to others. 9 x 3W golf ball LED bulbs (included). Follow us and tag us using #IMHollywood to have a chance of being featured! Our mirrors are an essential piece of kit for many beauty bloggers and discerning beauty conscious ladies alike. 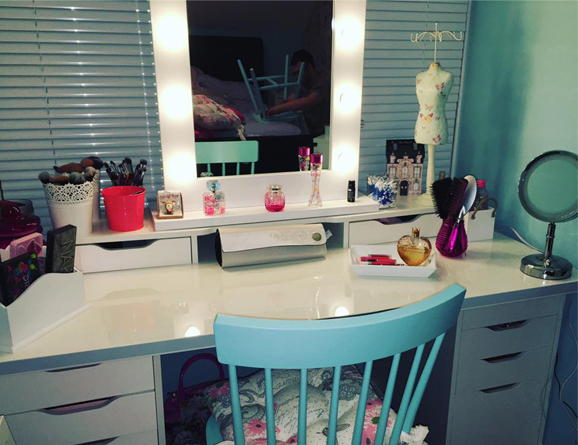 Check out Autumn Hyslop's elegant beauty shrine pulled together with this Anastasia White High Gloss Hollywood Mirror that oozes style and provides maximum light coverage perfect for applying makeup!